Our cash wrap counters work alone or together with our showcases, giving you unlimited design options to fit every need. These quality counters are made to order based on your needs but typically have quicker lead times than custom cases. 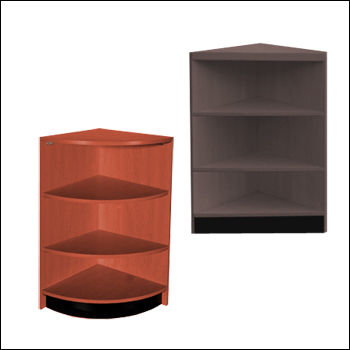 The standard line cases follow a proven formula of dimensions and style to look great in your retail environment. Call us with any questions at 877-701-9415.